As reported by the AIPLA, the Supreme Court on November 27, 2017 heard oral argument on whether the Patent Trial and Appeal Board (PTAB) is required by 35 U.S.C. 318(a) to address every patent claim challenged in a petition for inter partes review (IPR). SAS Institute, Inc. v. Lee, U.S., 16-969, oral argument 11/27/2017. SAS pointed out that Section 318(a) of the Patent Act states that, if an IPR is instituted, the PTAB “shall” issue a final written decision on “any patent claim challenged by the petitioner.” Justice Sotomayor pointed out that no IPR was instituted with respect to some of the claims in the petition, and asked SAS to clarify what relief was being sought. Indianapolis Indiana – Following a Markman hearing, Judge Sarah Evans Barker considered 18 disputed terms in five patents owned by Plaintiff Bonutti Research, Inc. of Effingham, Illinois and licensed exclusively to Plaintiff Joint Active Systems, Inc., also of Effingham, Illinois. Fourteen of the terms were construed. The court held that the remaining four needed no further construction. The patents-in-suit are: U.S. Patent No. 5,848,979, U.S. Patent No. 7,955,286, U.S. Patent No. 7,404,804, U.S. Patent No. 7,112,179 and U.S. Patent No. 8,784,343, which had been issued by the U.S. Patent and Trademark Office. It is alleged that Defendant Lantz Medical, Inc. of Indianapolis, Indiana infringed those patents. Washington, D.C. – The United States Court of Appeals for the Federal Circuit concluded in a six-to-four decision that the rule in Cybor – that claim construction is an issue of law subject to de novo review on appeal – will be retained under the principles of stare decisis. In 1998, the Federal Circuit, sitting en banc, decided Cybor Corp. v. FAS Technologies, Inc. Among the issues in Cybor was the standard of appellate review of district court decisions concerning the meaning and scope of patent claims (“claim construction”). The Federal Circuit held that, for purposes of appellate review, claim construction was to be considered to be a question of law, not one of fact, and subject to de novo review. Recently, in Lighting Ballast Control LLC v. Philips Electronics North America Corp, the Federal Circuit was asked to revisit the Cybor holding. In addition to the arguments presented by the parties, patent attorneys for thirty-eight organizations and individuals filed twenty-one amicus briefs. The opinion of the Court, written by Judge Newman, was joined by Judges Lourie, Dyk, Prost, Moore, and Taranto; it included a concurring opinion by Judge Lourie. A dissenting opinion, written by Judge O’Malley, was joined by Chief Judge Rader and Judges Reyna and Wallach. The court, again sitting en banc, retained the rule, as stated in Cybor, that no deference will be given by the appellate court to the trial court’s decisions concerning the meaning and scope of patent claims. Among the arguments presented for reversal of Cybor was an assertion that treating claim construction as a matter of law increases uncertainty, “negates settlement and increases litigation costs.” The court found these arguments unpersuasive. Instead, it discussed two reasons to maintain the Cybor rule. The court cited the ruling of the U.S. Supreme Court in Markman v. Westview Instruments, Inc., 517 U.S. 370 (1996) (also known as “Markman II“), in which the Court had stressed that issues of claim construction should be considered “purely legal.” Moreover, the Supreme Court has emphasized the importance of “uniformity in the treatment of a given patent.” For example, the possibility of differing claim constructions could lead to different results for infringement and validity, as well as the possibility of disparate district court constructions. De novo review by an appellate court ensures national uniformity, stability and predictability in claim construction. The court also cited the rule of stare decisis in its refusal to abandon the fifteen-year-old rule established in Cybor and the subsequent years of experience with that rule, stating that it had been presented with “no argument of public policy, or changed circumstances, or unworkability or intolerability, or any other justification for changing the Cybor methodology and abandoning de novo review of claim construction.” The court held that the demanding standard for departure from established law had not been met and retained the de novo review of claim construction established in Cybor. Practice Tip #1: The issues addressed in claim construction are not considered to be questions of weight of the evidence or credibility of witnesses, but rather of the scope of the claims as set forth in the patent documents. Practice Tip #2: Claim construction is typically conducted relatively early in the trial court’s proceedings, before addressing questions such as patent infringement, patent validity and damages. At the outset, the trial court must establish the metes and bounds of the claims that define the scope of the intellectual property. Practice Tip #3: In a dissent that was, at times, strongly worded, Judge O’Malley opined that “no one in the legal community–except perhaps the members of the majority–has come to believe that either the wisdom or vitality of Cybor is settled.” She cited previous statements of Circuit Judges who challenged Cybor as improperly relying on the legal fiction that there are no facts to be decided in claim construction and as “profoundly misapprehend[ing]” the Supreme Court’s decision in Markman. 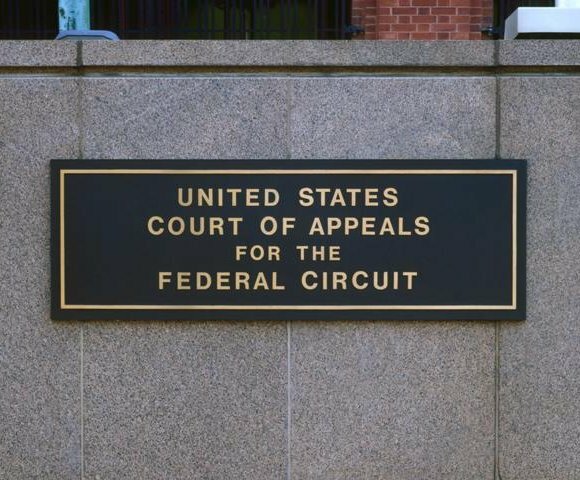 Washington, D.C. — The United States Court of Appeals for the Federal Circuit denied the petition of ArcelorMittal for a rehearing in its patent infringement lawsuit against AK Steel involving ULTRALUME®. AK Steel produces flat-rolled carbon and stainless and electrical steels. Their products are primarily for automotive, infrastructure, manufacturing, construction, and electricity-generation and distribution markets. The company, headquartered in West Chester, Ohio, also employs people in Indiana, Pennsylvania, and Kentucky. ArcelorMittal is a multinational steel manufacturing corporation headquartered in Avenue de la Liberté, Luxembourg. It is the world’s largest steel producer, with an annual crude steel production of 97.2 million tons as of 2011. At issue in this suit was a claim of patent infringement by ArcelorMittal France and ArcelorMittal Atlantique et Lorraine (collectively “ArcelorMittal”) against AK Steel et al. of Patent No. 6,296,805, entitled “Coated hot- and cold-rolled steel sheet comprising a very high resistance after thermal treatment,” (“the ‘805 patent”) which has been issued by the U.S. Patent Office. The ‘805 patent covers boron steel sheeting with an aluminum-based coating applied after rolling the sheet to its final thickness. The steel is used for “hot-stamping,” a process which involves rapidly heating the steel, stamping it into parts of the desired shape, and then rapidly cooling them. The rapid heating and cooling alters the crystalline structure of the steel, converting it to austenite and then martensite. By altering the steel’s microstructure in this manner, hot-stamping produces particularly strong steel. Because hot-stamped steel is so strong, parts created using the process can be thinner and lighter than steel parts produced with other methods while being just as strong. ArcelorMittal sued AK Steel and two other steel producers in the United States District Court for the District of Delaware, alleging infringement of the ‘805 patent. In 2011, a jury found that defendants AK Steel, Severstal Dearborn, Inc., and Wheeling-Nisshin Inc. had not infringed ArcelorMittal’s patent and that the asserted claims were invalid as anticipated and obvious. ArcelorMittal appealed from the judgment of the trial court, challenging both the district court’s claim construction and the jury’s verdict. The federal circuit upheld the district court’s claim construction in part and reversed it in part. It also reversed the jury’s verdict of anticipation. With respect to obviousness, a new trial was required because a claim-construction error by the district court prevented the jury from properly considering ArcelorMittal’s evidence of commercial success. Despite the mixed results – partially affirming, partially reversing, partially vacating and remanding for a new trial – the decision of the federal circuit has confirmed that AK Steel did not infringe Arcelor’s patent and can sell Ultralume, its aluminized boron steel product. Practice Tip: Patent decisions of the Federal Circuit, a federal appellate court, are unique in that they are binding precedent throughout the United States. Decisions of the Federal Circuit can be superseded only by decisions of the U.S. Supreme Court or by legislation. As such, Federal Circuit decisions are often the final word nationwide on the issues of patent law that the court decides. In contrast, the authority of other federal appellate courts is restricted by geographic location. In those courts, the federal common law often varies among the circuits (a “circuit split”). Indianapolis, Ind. — The Southern District of Indiana has construed the claims of two patents-in-suit in the matter of Endotach LLC v. Cook Medical Inc. In 2012, patent attorneys for Endotach LLC of Frisco, Texas sued Cook Medical Inc. of Bloomington, Ind., alleging infringement of Patent No. 5,122,154, entitled “Endovascular Bypass Graft,” and Patent No. 5,593,417, entitled “Intravascular Stent with Secure Mounting Means,” both issued by the U.S. Patent Office. The suit, initially filed in the Northern District of Florida, was transferred to the Southern District of Indiana. Upon the death of Dr. Rhodes, the patents-in-suit passed as part of his estate to his wife, Brenda Rhodes. While Mrs. Rhodes remains the owner of the patents, Endotach is the exclusive licensee and has the right to enforce the patents against all infringers. In its complaint, Endotach asserted infringement of one or more claims in each of the patents-in-suit. It sought a judgment that the patents-in-suit have been infringed, either literally and/or under the doctrine of equivalents; damages, including treble damages; costs; interest; attorneys’ fees and an injunction. Practice Tip: When construing the terms in the asserted claims of a patent-in-suit, the court must determine the meaning of the language used before it can ascertain the scope of the claims that the plaintiff asserts are infringed. In doing so, the court’s interpretive focus is not the subjective intent of the party employing a certain term, but the objective test of what one of ordinary skill in the art at the time of the invention would have understood the term to mean. Indianapolis, IN – The Southern District of Indiana has issued an Order concerning claim construction for three of nine patents-in-suit: U.S. Patent Nos. 5,699,038,6,147,592 and 7,538,659. Patent attorneys for Hill-Rom Services, Inc., Hill-Rom Company, Inc. and Hill-Rom Manufacturing, Inc. (collectively, “Hill-Rom”) filed a patent-infringement action against Stryker Corporation, doing business as Stryker Medical and Stryker Sales Corporation (collectively, “Stryker”), alleging that Stryker had infringed nine of its patents. Stryker countered, alleging non-infringement and invalidity of the patents-in-suit. The suit, initially filed in the Western District of Wisconsin, was transferred to the Southern District of Indiana. Six of the nine patents-in-suit are currently undergoing reexamination before the United States Patent and Trade Office pursuant to Stryker’s request and the Court considered only the other patents-in-suit. In this Order, the Court determined the scope and meaning of the asserted patent claims, a necessary step before ruling on the question of infringement. The three patents-in-suit addressed involve data transfer patents that allow hospital personnel to monitor the status of patients’ beds remotely. Five claim terms from the three patents at issue were presented to be construed by the Court: 1) “datalink”, 2) “interface board including processor”, 3) “message”, 4) “bed condition message” and 5) “message validation information”. In each case, Hill-Rom proposed no definition other than reiterating the precise wording of each claim term at issue, apparently relying substantially on the heavy, but rebuttable, presumption that claim terms will be afforded their full ordinary and customary meaning. In contrast, Stryker criticized Hill-Rom’s failure to expand on what a plain and ordinary meaning would be when considered in the context of the specification and prosecution history. The Court agreed with Stryker. For each of the five claim terms at issue, the Court exactly or substantially adopted Stryker’s proposed definition. For “datalink”, which was both the claim term and the proposed construction by Hill-Rom, the Court adopted Stryker’s proposal exactly, construing it to mean “A cable connected to the bed that carries data”. The Court construed “interface board including processor” to mean “A board that processes an input signal to create bed condition messages and sends those messages to a remote location via the wall interface unit. It can also receive messages through the wall interface unit.” Of all of the claim terms, the Court differed the most from Stryker’s proposal — “A board that includes the electronics that control the sending of messages to, and the receiving of messages from, a remote location.” — on the construction of this term. The case was referred to Magistrate Judge LaRue for further proceedings. Practice Tip #1: Hill-Rom’s interpretation of “plain and ordinary meaning” as requiring merely the repetition of the terms at issue was soundly rejected by this Court, as it has been by other courts. Instead, it is often true that, in those cases that a lawsuit is filed, the parties can expect that there will be disagreements on what constitutes a “plain and ordinary meaning.” Consequently, it is advisable for both parties to consider providing the court with additional language supporting their respective positions. Failure to do so results in the court being presented with only one alternate definition to consider when construing claims, a situation not likely to benefit the party providing no additional language. Practice Tip #2: It appears that Hill-Rom was trying to use general language in its claims to secure for itself broad protection under its patents. While that goal is understandable, claims cannot enlarge the scope of a patent beyond what has been described in the invention. So, for example, while the use of the broad term “datalink” might seem to protect a wide range of types of data sent over different types of links, without a proper foundation elsewhere in the patent, such a term will be ineffective in providing the desired protection. Indianapolis, IN – The Southern District of Indiana has denied all summary judgment motions of both plaintiff CleanTech and all defendants in this multi-district litigation involving patents issued by the US Patent Office. GreenShift Corp. and its subsidiary GS CleanTech Corp. (“CleanTech”) have brought a series of suits alleging infringement of their family of patented methods of extracting corn oil from byproducts of ethanol manufacturing. This multi-district litigation, In re Method of Processing Ethanol Byproducts and Related Subsystems (‘858) Patent Litigation, consolidates 11 separate actions in multiple states involving several similar patents in the Southern District of Indiana. The defendants are: Big River Resources Galva, LLC; Big River Resources West Burlington, LLC; Cardinal Ethanol, LLC; ICM, Inc.; LincolnLand Agri-Energy, LLC; David J. Vander Griend; Iroquois Bio-Energy Co., LLC; Al-Corn Clean Fuel; Blue Flint Ethanol, LLC; ACE Ethanol, LLC; Lincolnway Energy, LLC; United Wisconsin Grain Producers, LLC; Bushmills Ethanol, Inc.; Chippewa Valley Ethanol Co.; Heartland Corn Products and Adkins Energy, LLC. The initial litigation alleged infringement of one patent, U.S. Patent No. 7,601,858 (the “‘858 patent”), which was issued on October 13, 2009. 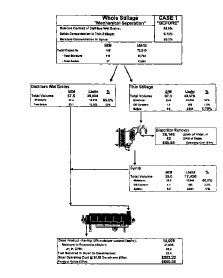 CleanTech sued GEA Westfalia Separator, Inc. (not a party in this matter) and others alleging infringement of that patent shortly after its issuance. Allegations of infringement of three additional patents, U.S. Patent Nos., 8,008,516 (the “‘516 patent”), 8,008,517 (the “‘517 patent”) and 8,283,484 (the “‘484 patent”; collectively known, together with the ‘858 patent, as the “‘858 patent family”) were later added. The patents in the ‘858 family share an identical specification and have substantially similar claim terms. As such, the court concluded that the construction of the ‘858 patent applied to all of the asserted claims in the other patents in the ‘858 family. CleanTech’s patented methods recover corn oil by evaporating, concentrating and mechanically separating thin stillage (“stillage”), a byproduct of ethanol produced from corn, into two components: corn oil and a post-recovery syrup (“syrup”) with most of its corn oil removed. In the patents, the term “substantially oil free” (and the essentially identical term “substantially free of oil”) had been used to describe the syrup after the patented process had removed the corn oil. The defendants argued that this language required that, to infringe upon the patented processing, a removal process must remove almost all of the corn oil from the syrup. The defendants moved for a finding on summary judgment that they had not infringed, arguing that the patented process did not include one which did not render the processed syrup “substantially oil free.” The court disagreed that this was the proper construction of the term. Defendants also asked the court to construe “substantially oil free” to require that at least 95% of the oil from the unprocessed stillage be removed by the patented oil-removal process, thus rendering any less efficient process non-infringing. While the court agreed that a comparison between the oil levels in the input stillage and the output syrup was appropriate when considering the term, it declined to limit the protection afforded by the patent to this, or any, specific percentage and held that the term “substantially oil free” was to be interpreted according to its ordinary meaning. In sum, on this issue, the court found that none of the claims in the ‘858 patent family required that the post-oil-recovery syrup be substantially free of oil and concluded, instead, that the ‘858 patent family merely disclosed that the post-oil-recovery syrup was “substantially free of oil.” The court held that the primary focus of the invention was not the amount of oil that remained in the syrup but, instead, on the recovery of oil. Additionally, the defendants (except Adkins) asked the court to revisit an earlier construction of the term “substantially oil,” as applied to the corn oil captured, asking that it be held to mean that the oil must be nearly pure. Defendant Cardinal further argued that the “substantially oil” term should be construed to mean nearly 100% pure, with only trace amounts of contaminants. The court declined to readdress the construction of this term. The court also denied CleanTech’s motions for summary judgment against various defendants. Finally, the court acknowledged that, since receiving the parties’ summary judgment motions, it had allowed CleanTech to amend its complaints against each defendant such that nearly all patents in the ‘858 family were asserted against each defendant. Consequently, all summary judgment motions were denied without prejudice and with leave to re-file them to address the amended complaint. Practice Tip #1: Multi-district litigation affords consistency and judicial economy, as well as allowing plaintiffs and defendants to concentrate their efforts in one forum. However, lawsuits that are not settled before trial must later be remanded to the transferring court and to a judge who has had little opportunity to become familiar with the issues. Practice Tip #2: In this case, CleanTech filed suit almost immediately after the issuance of the first of the patents in the ‘858 family. Thus, damages are limited to a reasonable royalty upon a showing that an infringer had actual notice of the published patent application and that the patent was subsequently issued on essentially the same claims. As such, if a patent is filed in anticipation of litigation, it is wise to provide such notice immediately upon publication of the patent application. New York, NY – The Southern District of New York has dismissed an innovative patent infringement lawsuit brought by a group of organic farmers against agriculture giant Monsanto Company for lack of jurisdiction. Monsanto has filed a motion to dismiss arguing that the plaintiffs have not demonstrated a justiciable case or controversy and therefore the court does not have subject matter jurisdiction because there was no current case or controversy. The Organic Seed Farmers have not yet indicated whether they will appeal this decision. Practice Tip: As the court noted in finding it did not have jurisdiction: “The Declaratory Judgment Act provides, “In a case of actual controversy within its jurisdiction, . . . any court of the United States . . . may declare the rights and other legal relations of any interested party seeking such declaration, whether or not further relief is or could be sought.” 28 U.S.C.§ 2201(a).” A plaintiffs belief that a lawsuit may be threatened, even if somewhat realistic, must typically allege some affirmative facts to support the threat in order for the court to find an actual case or controversy exists. Indianapolis, IN –Senior Judge Larry J. McKinney of the Southern District of Indiana has allowed an additional patent to be added to a complex patent infringement suit over Ethanol byproducts. The plaintiff in this case, GS CleanTech Corporation of New York, New York had requested to amend its complaint to add infringement claim regarding patent no. 8,008,516, which has been issued by the US Patent Office, to the lawsuit. As orgininally filed, CleanTech had filed a patent infringement lawsuit alleging that twenty-two defendants had infringed patent no. 7,601,858, Method of processing ethanol byproducts and related subsystemsTITLE. The court describes the ‘516 patent as a continuation of the ‘858 patent and directed to the same technology. The ‘516 patent was issued by the US Patent Office on August 30, 2011. Court found that Cleantech’s motion to amend did not involve undue delay, bad faith or a dilatory motive. The court found that adding the ‘516 patent “serves the goal of furthering the efficient adjudication of the case because the ‘516 and ‘858 patents are directed to similar technology and involve similar claim terms.” Three defendants objected to the amendment of the complaint, however, the court did not find any of the objections sufficient to prevent the amendment of the complaint. As we blogged in October 2011, Judge McKinney has already held a Markman hearing: Indiana Court issues Markman Ruling in GS Cleantech v. Big River for Ethanol Processing Patents. Practice Tip: The litigation over the ‘858 patent has been pending for several years and involves many parties. This is a very complex case from a procedural standpoint. While the Markman ruling has already been issued, the court’s order pointed out that the discovery process has not been started. Indianapolis, IN – Magistrate Judge Denise K. LaRue of the Southern District of Indiana has denied Stryker Corporation’s Motion for Leave to Amend Its Counterclaims, which sought permission to add three more patent infringement counterclaims referencing three additional patents. In April 2011, patent attorneys for Hill-Rom Services, Inc. of Batesville, Indiana, filed a patent infringement lawsuit in the Southern District of Indiana alleging that Stryker Corporation of Kalamazoo, Michigan had infringed twelve of its patents: Patent No. 6,993,799, HOSPITAL BED; Patent No. 7,644,458, HOSPITAL BED; Patent No. 6,588,523, STRETCHER HAVING A MOTORIZED WHEEL; Patent No. 6,902,019, STRETCHER HAVING A MOTORIZED WHEEL; Patent No. 7,011,172, PATIENT SUPPORT APPARATUS HAVING A MOTORIZED WHEEL; Patent No. 7,284,626, PATENT SUPPORT APPARATUS WITH POWERED WHEEL; Patent No. 7,090,041, MOTORIZED TRACTION DEVICE FOR A PATIENT SUPPORT; Patent No. 7,273,115, CONTROL APPARATUS FOR A PATIENT SUPPORT; Patent No. 7,407,024, MOTORIZED TRACTION DEVICE FOR A PATIENT SUPPORT; Patent No. 7,828,092, MOTORIZED TRACTION DEVICE FOR A PATIENT SUPPORT; Patent No. 6,772,850, POWER ASSISTED WHEELED CARRIAGE; and Patent No. 6,752,224, WHEELED CARRIAGE HAVING A POWERED AUXILIARY WHEEL, AUXILIARY WHEEL OVERTRAVEL, AND AN AUXILIARY WHEEL DRIVE AND CONTROL SYSTEM. Stryker had counterclaimed with thirteen claims of patent infringement against Hill-Rom. In late October 2011, Stryker filed a motion seeking to add three more infringement claims regarding Patent No. 6,264,006, Brake for castered wheels, Patent No. 7,124,456, Articulated support surface for a stretcher or gurney and Patent No. 7,395,564, Articulated support surface for a stretcher or gurney. Practice Tip: The court’s opinion notes that Stryker stated a plan to file an additional lawsuit that would separately make these new patent infringement claims against Hill-Rom if the court denied its motion to add counterclaims to the present lawsuit. The court noted a new suit was a “ready alternative” for Stryker.